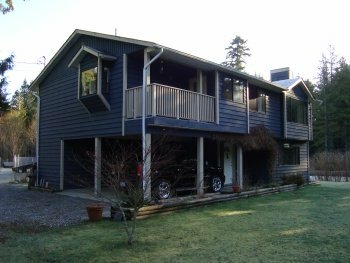 Locate in Gibsons BC on the Sunshine Coast, this is a well kept and recently updated 4 bedroom, 3 bathroom home. 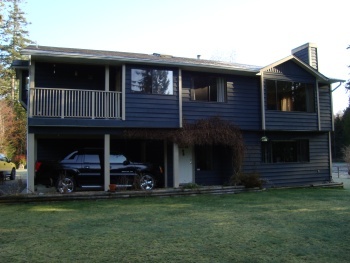 Over 2600 square feet on two levels, great for a growing family, 1 block to elementary school and on local bus route. 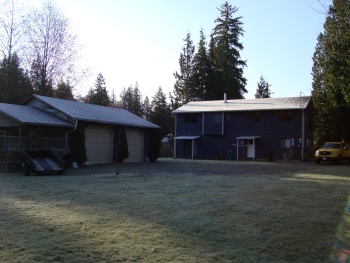 This lovely property is appx 1/2 acre and is level. Great for gardeners, this lot enjoys sun for most of the day. Many plants and shrubs surrounding the property and home. The detached garage is over 600 square feet and has it's own hydro meter. There is a large dog run, fully fenced attached to the shop and an additional covered area that could be closed in. A second driveway onto the property is allowed, and the owner already has the culvert.